What this meant for me is a completely still subject for photos, and I took advantage of this. I took so many photos that ended up being virtually identical, I decided to "salvage" the duplicates by cropping them down to an interesting visual texture, and sprinkling them throughout here. 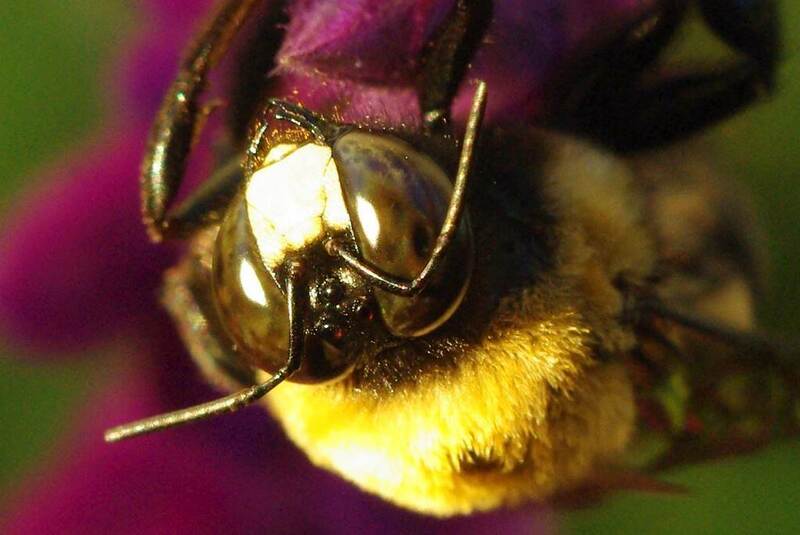 What I love most about being able to get this close to a stationary bee is the eyes -- so glassy! As may be obvious, I didn't have much to say this morning. 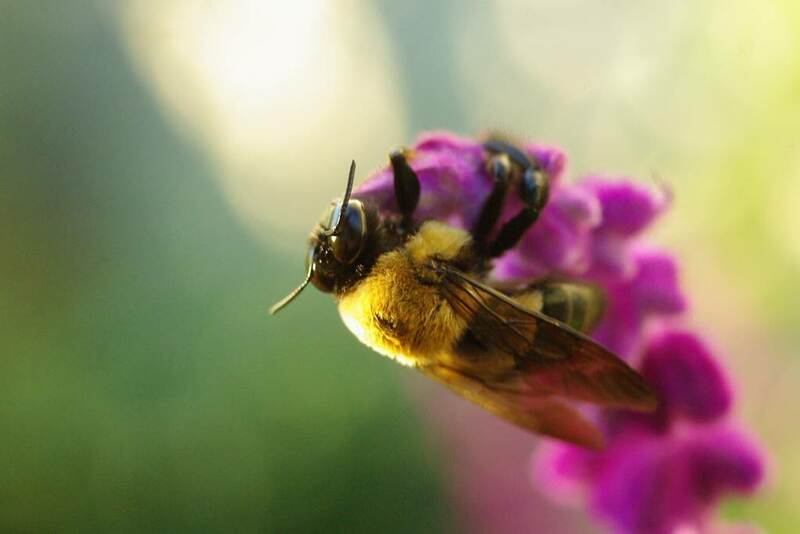 It turns out though that this simple post has increased my knowledge of bees. 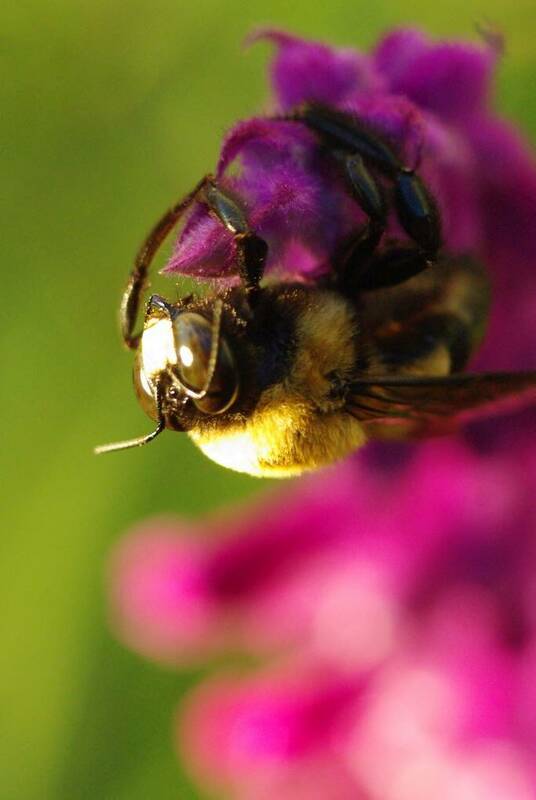 I first wrote that this was a bumble bee, but a quick search on bugguide.net showed me that it is actually a carpenter bee. The white face indicates that it's a male, so I had to change all of the feminine pronouns in this post to masculine. 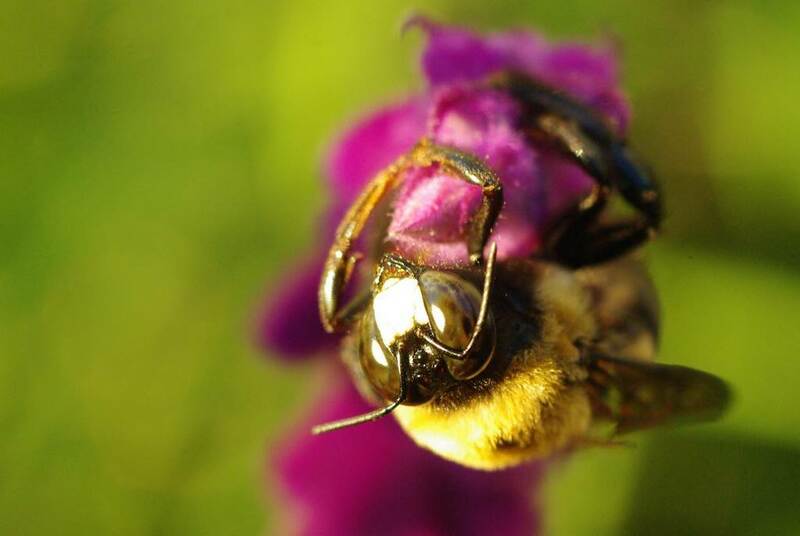 One useful tip: since it is male it can't sting me (a bee's stinger is a modified ovipositor), so in the future I can pick these guys up if I wanted to. I think I'll probably pass on that though, as I'd be afraid of hurting them with my brutish handling. So I'll just let them "sleep" and soak up some solar radiation so they can take advantage of the few remaining days of foraging. 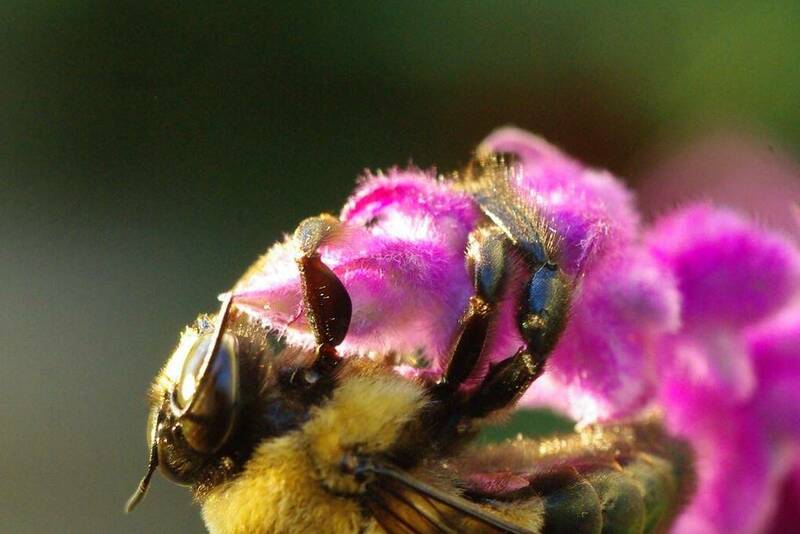 Bee hugs, photo textures, and education -- a nice way for me to start my day! Really beautiful photos! 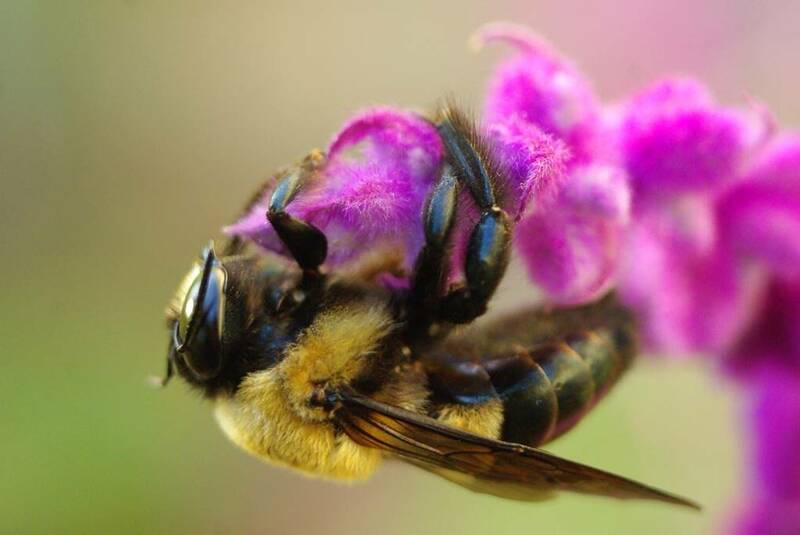 Our carpenter bees (or rather what we call "carpenter bees") are mostly black. I wonder if they're the same species? Beautiful! 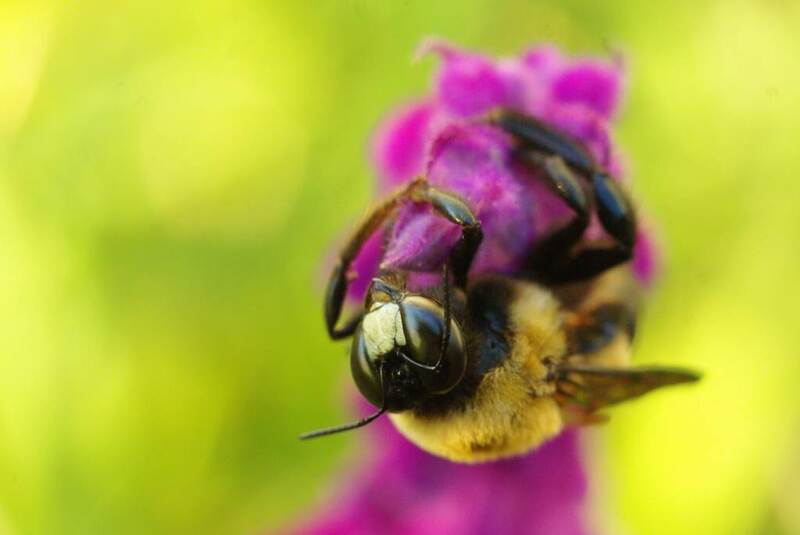 My favorite series of photos that I took were of a bee in the catmint. Fascinating furry little things, aren't they? We spent the day cleaning out the vegetable garden. I had a few moments of sadness to see the plants that we had grown so fond of piled up in a heap in the compost... until I realized what I was looking at was really a blank canvas for next year's garden. Time to start planning! Fantastic photos! Love the mirror eyes shots!